I was delighted to find Asparagus at the farmers’ market yesterday. The season is short, April 23rd to June 21st for the UK and it’s late this year! Asparagus is at its very best when freshly picked, so I urge you to buy it from a farmer rather than a supermarket. I’m grateful for the effort Martin the farmer makes, in picking the day before market, so that it’s as fresh as possible, short of growing it myself. Asparagus can be simmered, steamed, barbecued, etc. Last night I cooked it simply in a griddle pan. Rub the pan with a tiny splash of olive oil and heat it until it’s just smoking. 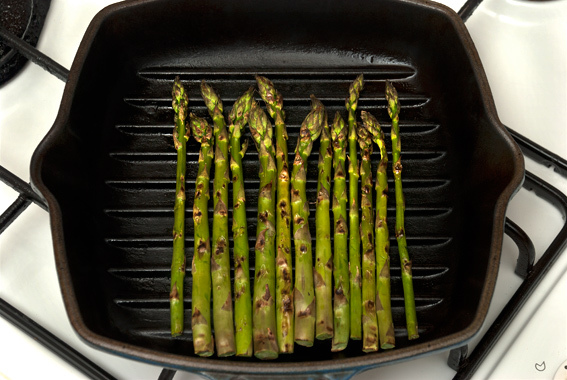 Cook the Asparagus on the hot griddle for 4 or 5 minutes, turning occasionally. Test it with a fork to see if it’s tender (it should be served al dente), there’s no need to cook it until it’s charred. My favourite accompaniment is Hollandaise Sauce. This can be made several ways – my favourite is with a red or white wine vinegar reduction – see here for the recipe. There are some simpler methods combining butter, an egg yolk and lemon juice, which are very good and quick, though to my mind the taste and texture reminds me slightly of lemon custard. 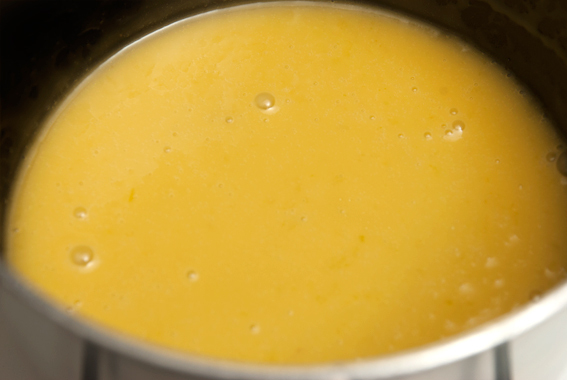 There’s a very good analysis on Hollandaise recipes and methodology here. On a busy day I just wrap the asparagus in foil with a little butter (or olive oil) and chopped garlic. It cooks in the oven in 5 – 10 minutes, while something else is roasting. Serve a crisp white wine with Asparagus and Hollandaise, such as Mâcon-Villages or Sancerre. This entry was posted in Drink, Food, Recipes, Shopping and tagged al dente, asparagus, butter, crisp white wine, egg, griddle, Hollandaise Sauce, lemon juice, Perry Court Farm, red wine vinegar. Bookmark the permalink. Mmmm I love this simple way of cooking asparagus and how griddling it concentrates the flavours, and perfect with hollandaise. I love fresh asparagus! I’ll be sure to pick up a bunch on my way home this afternoon! Quick, easy, and delicious. I can’t think of a better way to prepare asparagus. And you’re right. Get them now from the farmers markets and use them quickly. Delicious! 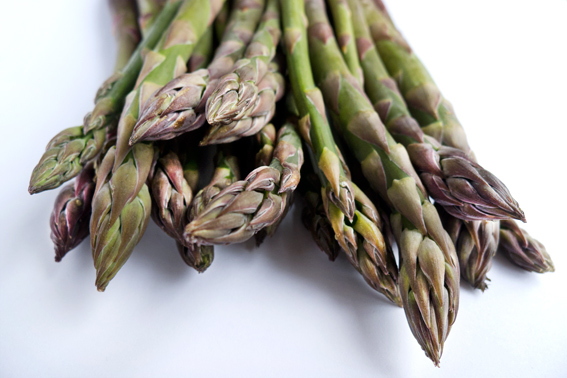 Another avid asparagus lover here: spring has not sprung without it and artichokes! Hmm: what you show me is a ‘grill pan’ and yes I do grill asparagus on occasion [that ‘other word’ is not in our everyday vocabulary 🙂 !] , tho’I far prefer it steamed! Actually as a child I was taught to eat it with tiny steamed early spring potatoes and Westphalian ham, which I have since changed to prosciutto, jamon or coppa 🙂 ! Thanks God our normal seaason lasts about two months!!! Sancerre is one of my faves! Beautiful asparagus dish! Simple and delicious! We’re in the land of white asparagus here, which is not my favourite. I always associate it with German food, but there’s plenty of it in the Vendee. Hopefully we’ll see some green asparagus in the markets soon. Good work! I’ll be eating as much as I can whilst it’s still in season here. Lovely. I’m loving asparagus at the moment too – we’re lucky to have a farmshop just down the hill from us where they grow their own asparagus – it’s £1.49 a round at the moment and very freshly picked. Would still love to plant a bed though as it’s one of those veggies that benefits so much from being as fresh as possible. Love your style of cooking it. We’re in the midst of asparagus season here, too. Hooray! I think I hear the Hollandaise calling. Ooooh…Craig, I see we’re on the same wavelength! Love hollandaise, but never make it. I need to have some soon!!! I love asparagus and simply prepared like you prepared it is my favorite. You’ve reminded me how good asparagus is when it’s griddled. I’ve just bought some today, so this is how we’ll eat it. The season is coming to an end here, but I can’t complain as we’ve been eating wild and then cultivated since early March!